This means that we may be seeing more products related to blenders, such as electric coffee grinders. What products would you like to see Eufy release in this new area for them? Anyways, on to the new product we are about to discuss today! Here is a first look at the MiracleBlend D1. And here are a few highlights of the new product. Smooth and Sensational: Create finely textured smoothies, dips, and more in seconds. 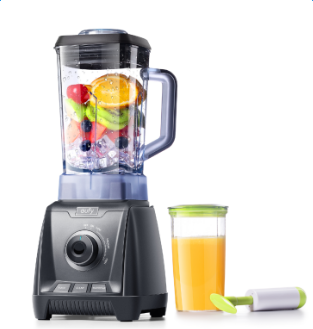 Powerful Blending: A 1200W motor finely dices ingredients into easily absorbed nutrition. Precision-Angled Blades: Tilted at 92.5° to rapidly slice ingredients and ensure every sip is packed with flavor. Vortex Design: A uniquely shaped pitcher circulates liquid up and food pieces down for a superior blend. Eufy's new blender will be up on Amazon very soon, so be sure to check back for updates on pricing, availability, and more! In the meantime, let us know... What are your initial reactions to the product? Where do you predict the price to fall? And don't forget to tell us what other products you hope Eufy is developing! First, it was EverCam. Side note: Eufy recently set new and exciting stretch goals for EverCam! Check them out on their KickStarter campaign page. Now, it's blenders! What could possibly be next? Feel free to speculate as Eufy continues to rapidly expand their range of products. I've never used one... Any blender... Ever. I chopped it correct size to begin with, so I never needed to blitz it. I did use a mixer for pastry or batter mix (cake mix. Batter was done by hand with a whisk). I never used a food processor either, but I would use a mandalin (uses a very sharp blade on a slope, and you use to make Julien/batton carrots, slices of potato etc. Not a machine tho. My fiancée is the same. I'm sure some will find very useful. Blenders are good, would be interesting to see how it compares to nutri bullet and Ninja as those are the ones I see a lot of people using. The blender doesn't excite me much but a high quality Burr coffee grinder would be great! Looks like a Ninja. They should call it the Samurai since its from china. 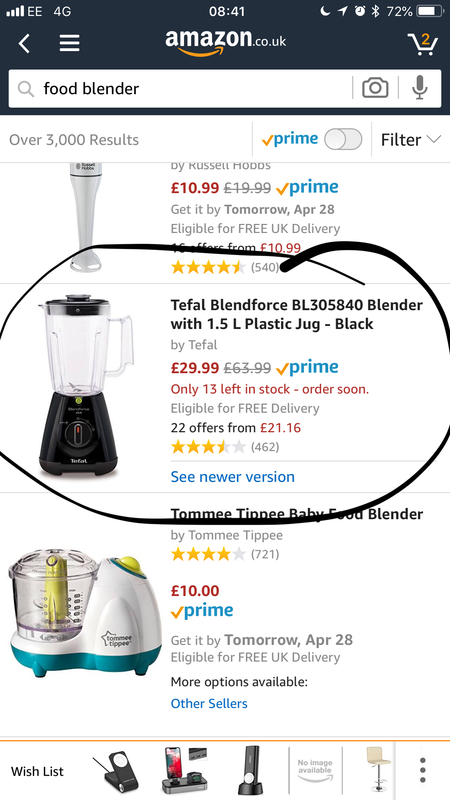 I’ve never owned a blender but this looks great and if someone uses them for smoothies or baby food etc then I’m sure they might buy it. This is cool. I'm guessing that this will be in the $99 range. Hopefully, it's way lower. I wonder if they will go into the mixers too. I would love for them to make a coffee grinder...... portable. I already have a big one and hate pulling it out to use it since I don't have any room on my kitchen counter. It’s nowhere near a bullet or ninja. More like your standard blender. The perfect model would be to blend straight into the cup/vessel you can take with you to work or gym etc. Both Ninja and Samurai, are Japanese. Style wise and looking at it as is I'd expect the price to be around the $49/$59 range. So can this do Ice? I would think that the bottle shown in the picture could be an on the go bottle. But I agree, it would be awesome if more were to be included.